Finely slice the chestnuts, finely shred the Brussels sprouts. Get a griddle pan hot and start lightly grilling the pheasant thighs, skin side down. A little while later add the breasts skin side down, they take less time. Grill until lightly browned, turn and cook through according to your taste but don’t dry them out. Fry the bacon lardons to a golden brown in a saucepan, drain off the excess fat and add the sprouts, chestnuts and cream. Bring to the boil and then reduce the heat and cook gently for about five minutes, at least until the sprouts become tender and the cream thickens. Season to taste. Pour the red wine into a frying pan, boil and reduce to two-thirds of its original volume. 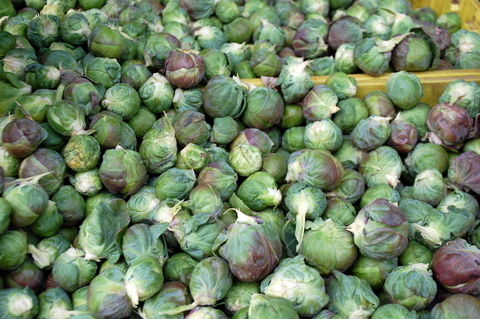 Serve the pheasant on a helping of the Brussels sprouts and chestnut cream with a spoonful of wine reduction over each. A Rioja might be nice. Have a happy Christmas and see you next year.